Inspire your committee or board with an extraordinary open-view of the gallery from our Executive Conference Room. 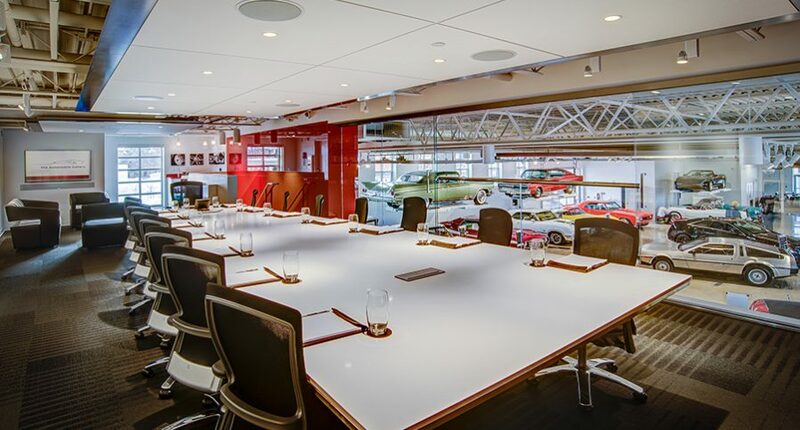 This contemporary mezzanine boardroom is a reflection of the design and innovation of the automobiles it overlooks. 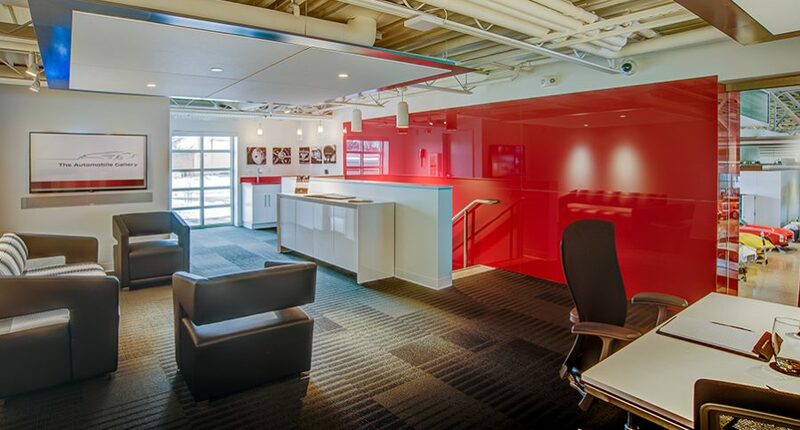 Reserving this space means you can conduct your meeting in a technologically advanced yet intimate space while having private access to our entire gallery. There is seating for up to 20 in plush leather executive chairs, with a stately lounge area featuring a wet bar for everyone’s comfort. Technology features include video and audio integration, web conferencing via HD cameras and business-class internet to help you deliver a productive, memorable event. Microphones and speakers throughout the room ensure call clarity, and WiFi is included with an easy-to-use touch panel control system. It’s possible. And so are Christmas celebrations, retirement gatherings, family reunions and most any other celebration in your life. 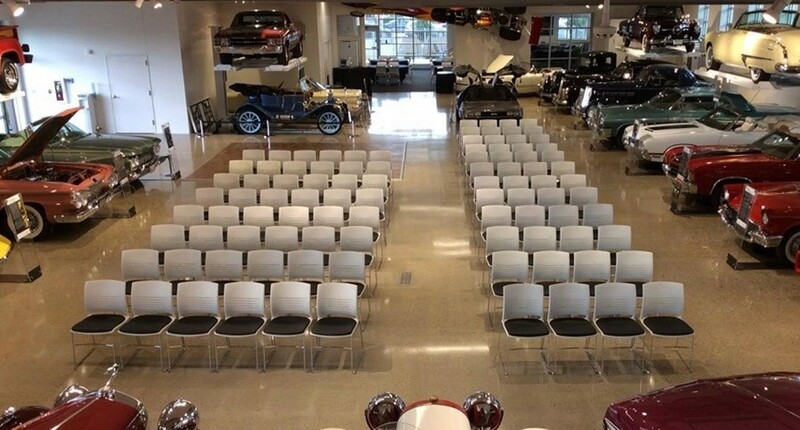 The Automobile Gallery has thought of nearly everything to perfectly orchestrate your very special day. 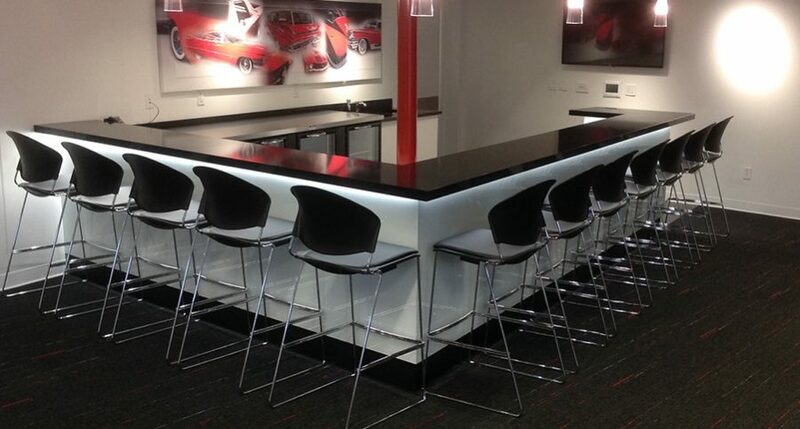 The Automobile Gallery offers unsurpassed indoor and outdoor spaces including a tiered-floor dining space, outdoor veranda and upscale bar facility. 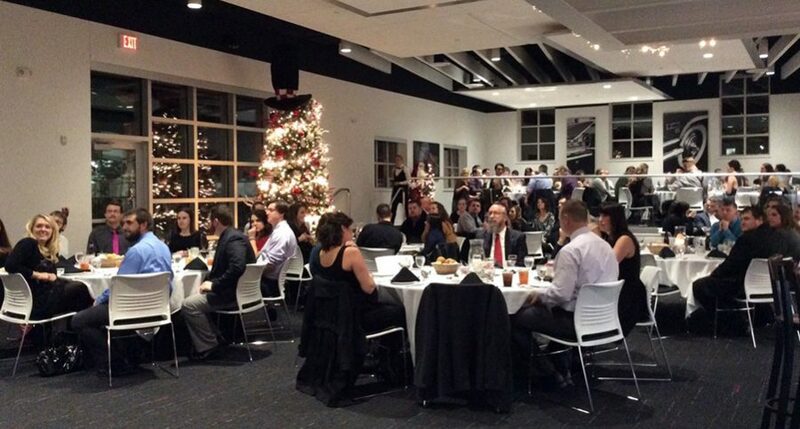 Exquisite dining options are available from our approved catering vendors, perfect for rehearsal dinners to the reception itself. 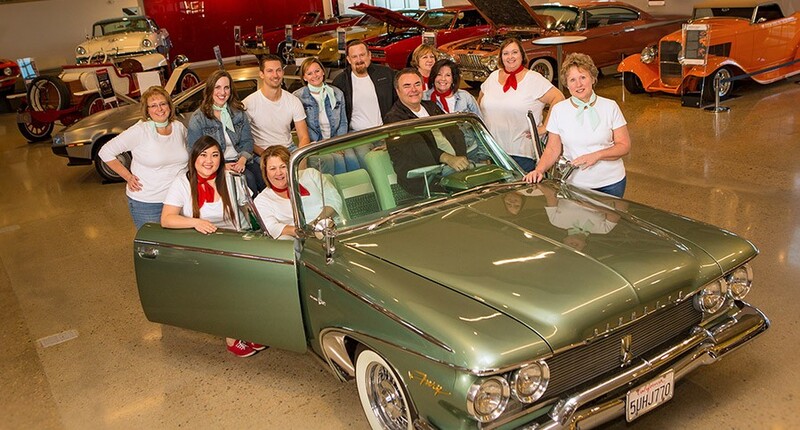 The Automobile Gallery’s staff will custom-tailor your event to bring your vision to life.